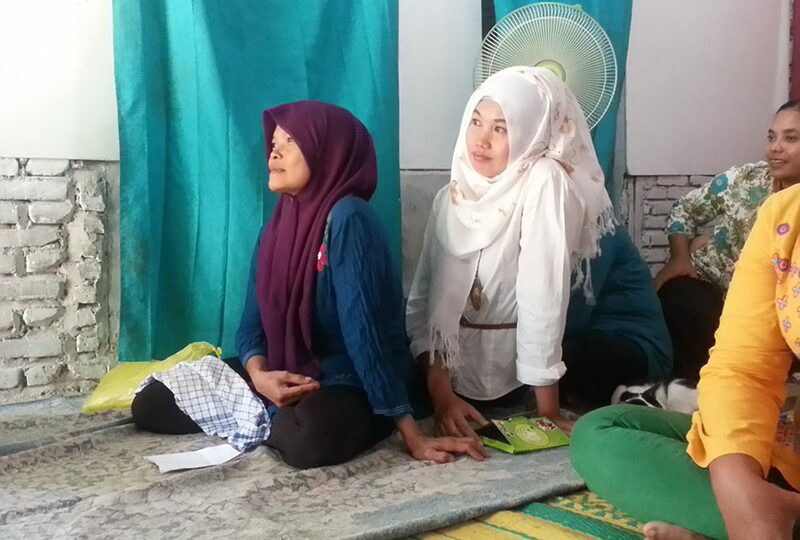 The BBS team found themselves in Medan, Indonesia this month to meet with the NGO Indonesia Women’s Heritage Cooperative – a microloan organisation working to bring rural women out of poverty. Founded in 2013, our team was eager to meet the hard working people behind IWHC and find out how they have managed to maintain a 98% return rate since their programs began, even though their loans are freely given without collateral. IWHC’s founder and Executive Director Ms. Sora Tarigan, or “Ibu Sora” as she is affectionately known by her community, shared with us that their model is based on the methods established by the Grameen Bank of Bangladesh. In this structure, loans are given to individual women but the responsibility for repayment is taken on by themselves and four other peers. These loans are then accounted for in weekly community meetings involving 3-4 other recipient groups comprised of five members each. If one woman misses a repayment, or fails to pay back the loan entirely, the other four women within her group are left to cover the losses. This community involvement, explained Ibu Sora, breeds accountability, respect and a sense of responsibility among recipients, resulting in higher-than-average return rates. 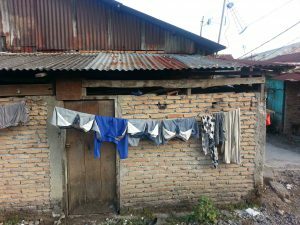 IWHC loans are given out in modest sums of USD$100 at a rate of 3% interest, also making them much more manageable than the standard government-backed microloan programs available in Indonesia. 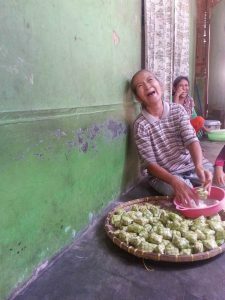 To date, IWHC has provided loans to nearly 1,800 women in rural Medan, equipping them with the resources needed to start everything from seamstress services to roadside rice sales to fruit stands. Though simple in their operations, these small entrepreneurial endeavours significantly increase the annual income of the family each woman is working to support, and are slowly raising the standard of these impoverished communities on the whole. This IWHC participator used her loan to purchase a sewing machine. She now designs and sells dresses to the local shops in her village and has increased her weekly income from $3 per week to $7 per week. When asked what they most wanted to do with their rising income, the majority of women we spoke to simply said they aspired to be able to afford clean water for their families and desired to be good role models for their children. We at BBS hope to be a part of making these dreams come true in the years to come. Stay tuned for more!